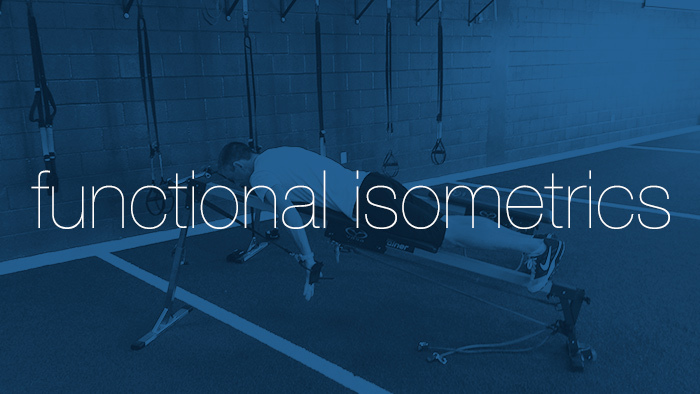 Functional isometrics (FI) can be a great way to add some variety to your strength training plan while increasing strength and power within the swim and bike motor patterns. Isometric movement is defined as when the muscle attachment closest and furthest away from the center of gravity maintains a constant length while force is being applied. 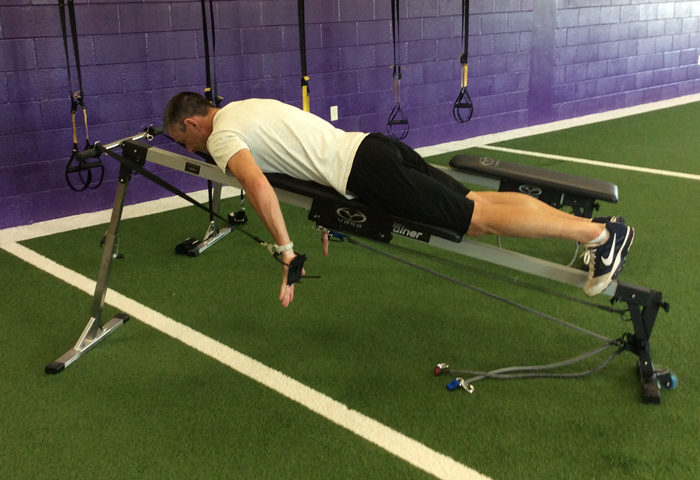 Functional isometrics are used by strength and conditioning coaches in all major sports. By integrating tri-specific FI, triathletes and can achieve higher levels of strength and power exactly where they need it. There are key positions within the swim/bike/run patterns that require increased strength or leverage. By incorporating FI into your strength plan, you will develop high levels of isometric strength, which will lead to an increase in power and speed. 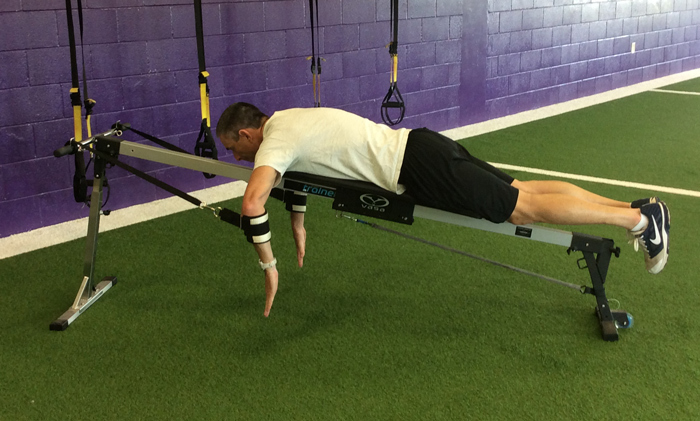 These isometric exercises can be done using either a Vasa Trainer or TRX suspension system so that there is no movement when force is applied. Apply 85-percent effort for three to five seconds per repetition in each of the three positions. Complete three reps per set with a five-second rest between each repetition. Each set will take 24 to 50 seconds to complete. In cycling the point of highest power application is between the 2 o’clock to 4 o’clock point in the pedal stroke. There are two ways FI can be done in this high power zone. This first method uses a barbell pulled up against the pins in a power rack at knee and hip angles identical to the powerful position on the bike. Again, hold for three to five seconds per repetition. The second method is to do an isometric hold for three seconds at the same joint angle as the rack pull when executing a squat or deadlift. Athletes can use a barbell or hex bar (pictured below). Hex bars are preferred since it places less stress on the back and knees. 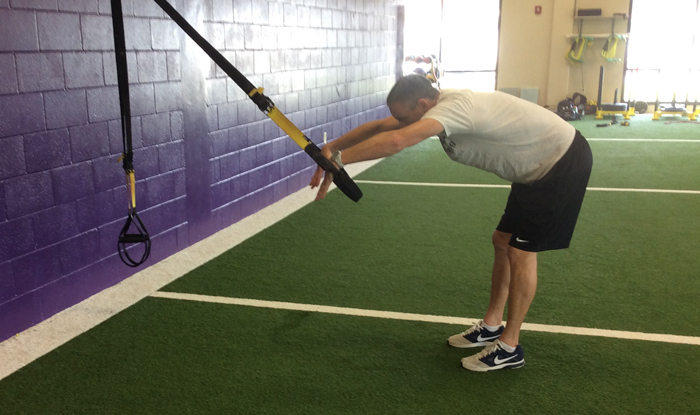 Use a controlled eccentric (lowering phase), isometric hold for 3 seconds, then lift weight with a fast acceleration. In running, there is a point in the stance phase that requires high levels of isometric strength at the point of contact with the ground just before take-off. As with cycling there are two ways this can be accomplished. 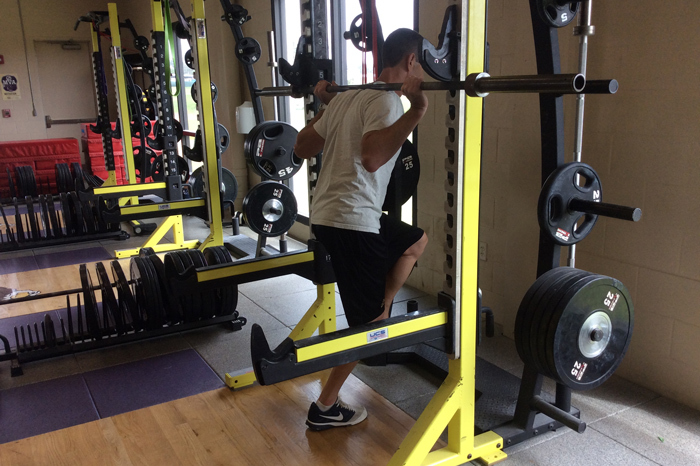 Using a barbell in the back-squat position and standing on one leg in a running posture (knees and hips slightly flexed as if initiating the push off phase of the run stride.) This position is maintained while the athlete does lateral toe touches 4 – 10 repetitions before switching legs. Hold the barbell in the back-squat position and just like the rack pull exercise above. Pushing up against the pins from a single leg running posture. Hold for three to five seconds per repetition per leg, doing three to five reps per set. 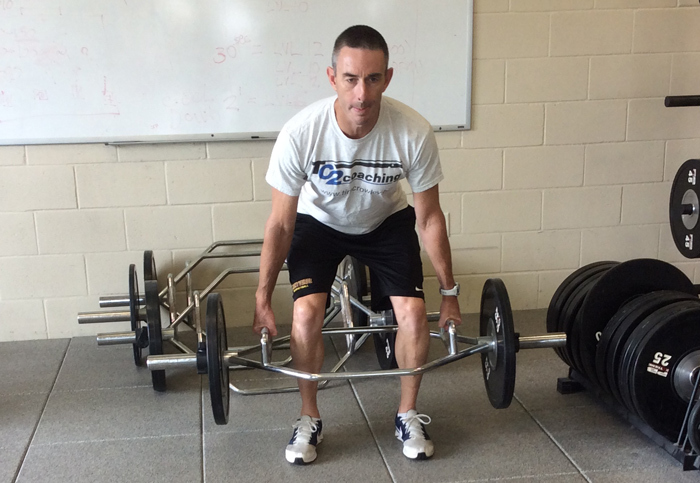 There are several ways you can integrate FI into your strength training plan. Include FI several times throughout the year to increase triathlon-specific power. Below is one example of how FI can fit into any strength plan.